We actually develop proprietary Creamer varietals all the time. For example, our Something Blue Creamers—yellow flesh with purple swirls and blue skin—is a pretty Little Potato with an exotic and lively taste, originally bred in Chile. Just like wine, a unique potato varietal is going to give your dish a distinctive taste and mouth feel. 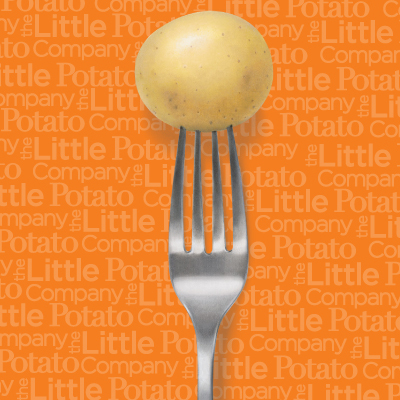 Like the fairytale Princess and the Pea, our Little Potatoes are delicate—they can bruise easily. Our farmers have to be especially vigilant. Bruising can occur if a Creamer is dropped more than four inches or handled when temperatures are not optimum. In fact, potatoes are “quite fussy,” notes Steve Moorehead, our roving director of agronomy based in Prince Edward Island, Canada. We sell only farm-fresh Creamers. Whether it’s our bagged Creamers, Microwave Ready or Oven|Grill Ready Little potatoes all are grown and harvested with care—and never frozen or processed. Rather than an expiration date, we display the date we packed them, which follows the Julian calendar. For the Microwave Ready or Oven|Grill Ready Creamers, this date is printed on the side of the tray. Whether in a 1.5 lb. bag or a convenient tray, as with any fresh produce, if it looks good then you can eat it. If you’re wondering, can I plant Little Potatoes? The answer is, it wouldn’t be worth it. At harvest, we select the very best potatoes for planting and the best for eating. “Seed potatoes” sprout quickly and farmers use them to grow potato plants. The potatoes you find at your grocer are “table potatoes,” and they won’t grow into potato plants. They are just meant to be used in your very favorite potato recipe. “Potatoes are one of the best known all-around bundles of nutrition,” thanks to their balanced protein content, says West Coast Seeds. At just 20 calories each, a Creamer delivers iron, more potassium than a banana and more fiber than pasta—while being fat-, cholesterol-, gluten- and virtually sodium-free. So eat your potatoes guilt free. Anything specific you’d like to know about our Little Potatoes? Get in touch!